One thing that always happens when I visit my family is that we whip up great breakfasts on the weekends. I mean all out kind of breakfasts that are awesome when feeding a large group of hungry people. Pancakes with bacon, cream cheese or berry Kringle's, breakfast burritos, eggs - in many different ways - scrambled, Benedict, egg bake, and well, this list could go on and on. We recently went back to visit the family for the nephews birthday. It is so cliche, but I can't believe how old he is getting...and how tall. He is now taller than everyone in my immediate family and he loves good food. On Sunday morning, I was in the kitchen working on the pancakes when I was told, 'Hey hon, I think I volunteered us to make a frittata.' Of course, this is said with a smile because both of us know, frittatas are good and we want them just as much. Since my moms house is more than full of good options for a frittata and we were ready to be done with frozen weather comfort food, we wanted something refreshing. So, it was settled on the Caprese Frittata. If you have looked through the blog in the past, you will know that am a big fan of tomato, fresh mozzarella and basil - so this was an easy decision to make for breakfast. 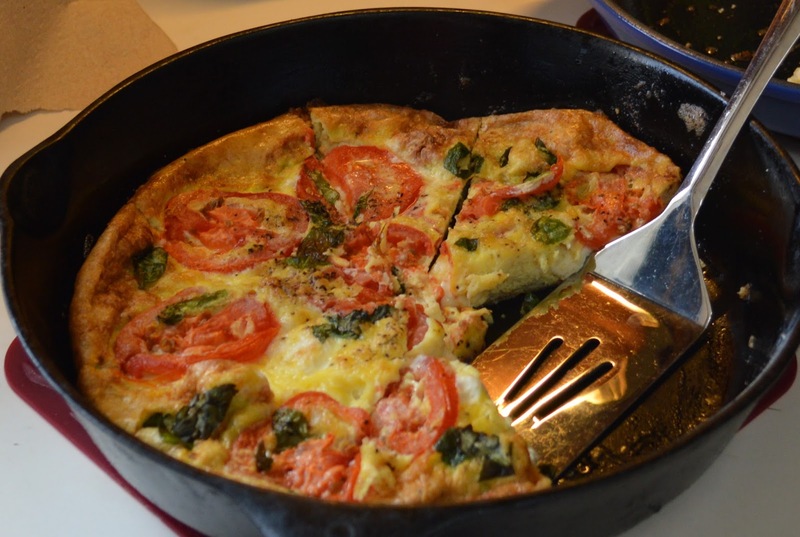 Very quick to whip together and the best part is that you can sit and relax at the table with the family sipping your coffee and laughing while the frittata bakes. 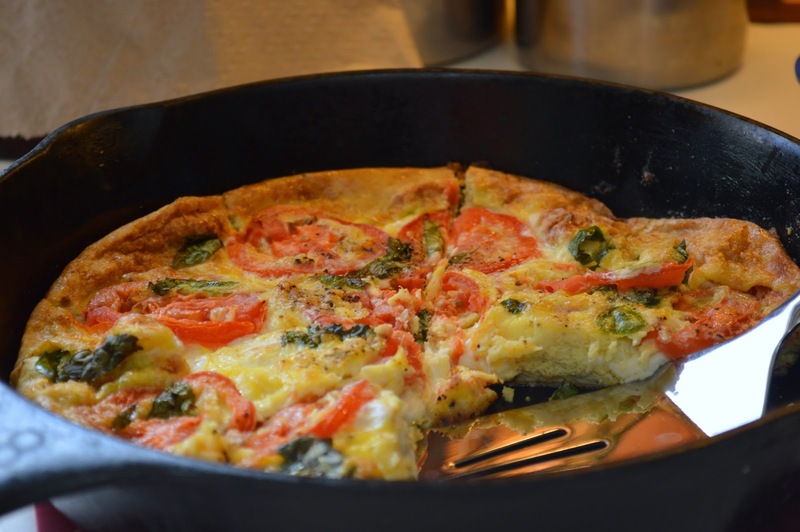 Preheat the oven to 425 degrees and heat a 8" or 10" cast iron skillet over medium heat. Melt butter in pan. Whisk eggs together with some salt and pepper. Pour the eggs into skillet. Arrange cheese, tomato and basil in the whisked eggs and let cook for approx 5 minutes on the stove. Cook for 15-20 minutes until the eggs are set. Let sit for approx 5 minutes before cutting into the frittata and sprinkle a touch of salt and pepper over the top.